A Joyful Noise: All Black Musicals in Honor of African American History Month. January 23, 2019 by Jordan D.M. 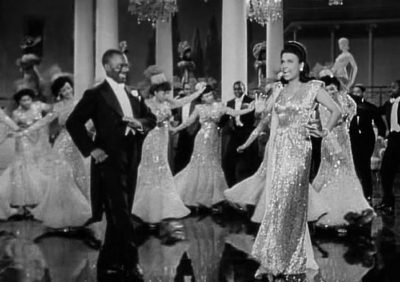 Next month, in honor of African American History Month, our Throwback Thursday theme is A Joyful Noise: Every Thursday at the NoHo 7 we’ll screen a classic Black musical. We’ll do it in chronological order: Stormy Weather (1943) on February 7, The Wiz (1978) on February 14, School Daze (1988) on February 21 and Dreamgirls (2006) on February 28. Stormy Weather, February 7: The relationship between an aspiring dancer and a popular songstress provides a showcase for some of the most brilliant African American entertainers of the time. Come for Lena Horne’s performance of the iconic title song; stay for the “Jumpin’ Jive” dance sequence, which Fred Astaire called “the greatest dance number [he had] ever seen.” Directed by Andrew L. Stone and starring Horne, Bill Robinson, Cab Calloway and His Cotton Club Orchestra, Katherine Dunham and Her Troupe, Fats Waller and the Nicholas Brothers. The Wiz, February 14: Loosely adapted from the 1974 Broadway musical of the same name, The Wiz is a musical adventure fantasy that reimagines L. Frank Baum’s classic 1900 children’s novel. It follows the adventures of Dorothy (Diana Ross), a shy Harlem schoolteacher who finds herself magically transported to the urban fantasy Land of Oz. 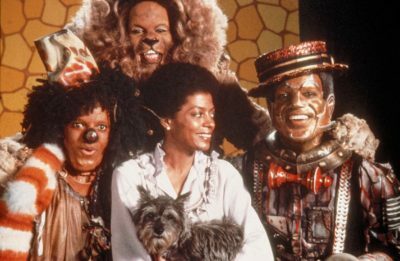 Befriended by a Scarecrow (Michael Jackson), a Tin Man (Nipsey Russell) and a Cowardly Lion (Ted Ross), she travels through the city to seek an audience with the mysterious Wiz (Richard Pryor), who they say is the only one powerful enough to send her home. 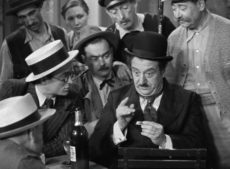 Directed by Sidney Lumet. School Daze, February 21: Spike Lee’s second film is a musical comedy-drama based on his experiences while a student at historically black colleges like Morehouse and Spelman. 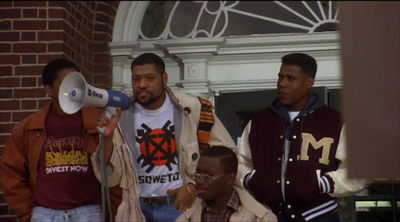 Laurence Fishburne plays Dap, a politically conscious student enduring the school’s inept administration and the colorism and hair-texture bias of the fraternity-sorority system. Lee plays Half-Pint, a freshman who endures hazing in hopes of admission to a fraternity. Giancarlo Esposito and Tisha Campbell-Martin co-star. 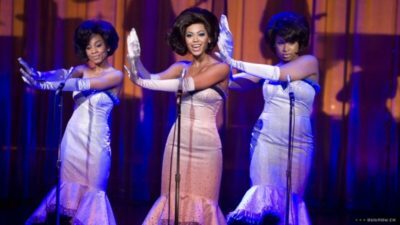 Dreamgirls, February 28: The much-loved musical about a Supremes-like 1960’s girl group, as filmed by Bill Condon (Gods & Monsters, Kinsey) stars Jamie Foxx, Beyoncé Knowles, Eddie Murphy and Danny Glover. “Fulfills the ecstatic promise inherent in all musicals — that life can be dissolved into song and dance — but it does so without relinquishing the toughest estimate of how money and power work in the real world that song and dance leave behind.” (New Yorker) Dreamgirls was an Oscar nominee for Best Supporting Actor (Murphy) and Supporting Actress (Hudson) and a winner of Golden Globes for Best Picture (Comedy or Musical) and Best Supporting Actress and Actor (Hudson and Murphy).